Science at Monash is at the forefront of teaching and research in pure and applied sciences. You will develop academically and personally in a dynamic and stimulating environment, with access to brilliant minds and exceptional facilities. Professor Jordan Nash joined the Faculty of Science as the Dean in July 2017. He is a prominent scientist who has successfully led a 400-strong team at one of the world’s highest-ranked universities. He was formerly the Head of the Department of Physics at Imperial College, London. An experimental particle physicist for more than 25 years, Professor Nash also leads significant global scientific collaborations including at CERN (the European Organisation for Nuclear Research that operates the world’s largest physics laboratory). With more than 1100 publications to his name, Professor Nash has been the principal investigator on £16 million worth of research grants. He is also a Fellow of the Institute of Physics. Professor Nash is committed to strengthening Monash Science, its people and facilities so that we can play a leading role in Australia and the world in facing challenges in the 21st century. Size isn't everything, or is it? Each year Monash accepts around 1,000 students into science, less than half of other similarly-sized institutions. Fewer students means more access to our science-exclusive support services including a careers advisor, industry placement program and revision classes. More importantly we offer double the lab hours as compared to other universities, meaning there are more opportunities to get hands-on. Additionally, we offer genuine flexibility via our Bachelor of Science and Bachelor of Science Advanced –Research (Honours) courses, putting you in charge of how you structure your degree—all science, science plus electives outside of science—the choice is yours. If you haven't been to the Clayton campus for a while, you may not realise the science precinct has been transformed. We've invested millions in new facilities, teaching and learning spaces for our students. From our new state-of-the-art chemistry labs, to our science student only lounge and other informal in and outdoor study chill-out spaces -our spaces provide an excellent on campus experience. 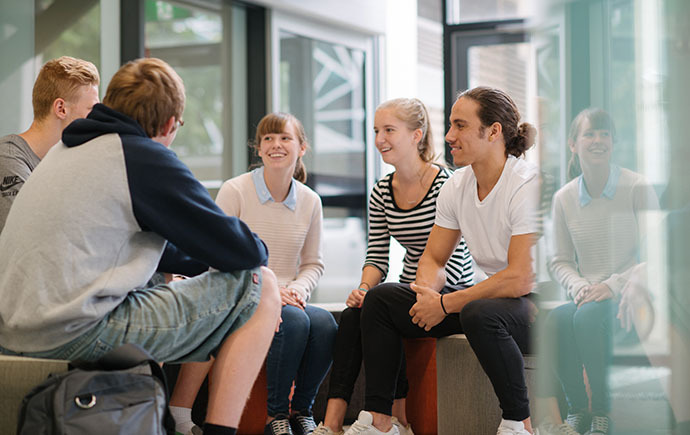 At Monash our focus is on ensuring you graduate career-ready. In addition to gaining a solid education in science, you are offered opportunities outside the classroom. You can get involved in leadership programs, ambassador programs, seek extra study support, pre-exam support, or even get involved in research at undergraduate level if you choose to. Most people study science because it is something they love. The advantage of studying science at Monash is the ability to combine it with another interest area, perhaps graduating with a double degree. You also have the flexibility to build your course around your love of science (and not be forced into breadth areas outside science). Alternatively, you can also choose the Bachelor of Science Advanced - Global Challenges (Honours) course, which combines your love of science, with the skills to make an impact on the world via entrepreneurship. We also recognise your passion for science by offering those of you studying more than one science subject through years 11 and 12 a VTAC subject bonus.